Every mom needs one of these – a laminating system that allows you to preserve all of those special projects and papers. Laminating will protect them from deteriorating and allow you to look at them over and over again without fear of ruining them. 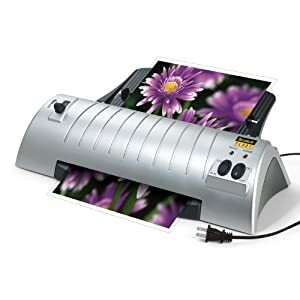 Amazon has this Scotch laminator marked down from $80.49 to $33.73 – you can take an additional $8 off with the code GPF3A85U. It ships for FREE so that’s $25.73 for this laminator to be at your door. In addition, you can get 15% off other Scotch supplies such as doublesided tape, adhesive transfer, glue sticks and scissors with the code WB6TSYED. And you can get up to 25% off scrapbook paper too!